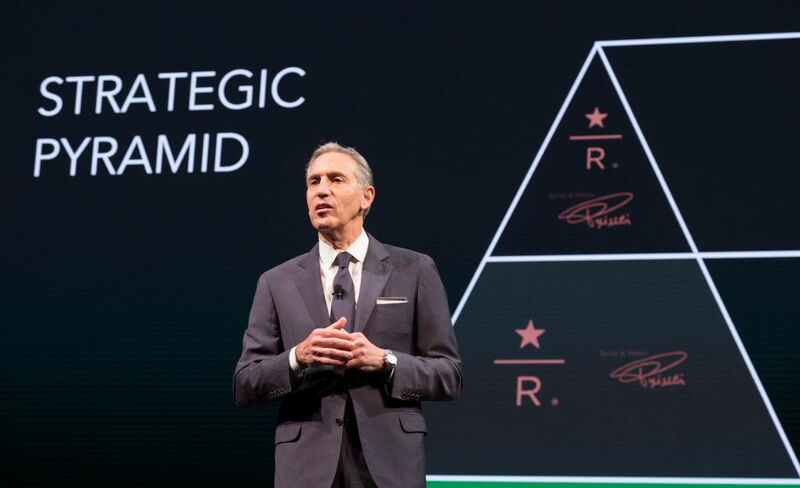 Exciting news: burnt coffee magnate Howard Schultz wants to make an independent run for president. Americans may finally get the common-sense, bipartisan solutions they’ve been yearning for! Ahead of the 2012 presidential election, Politico debuted its own simulated presidential primary — an online survey that asked readers to nominate “independent presidential candidates” in advance of the presidential contest. “The public has had it with Washington and conventional politics,” then–executive editor Jim VandeHei and chief White House correspondent Mike Allen proclaimed, adding that Americans had “lost trust and respect in the conventional governing class,” citing “mounting evidence” that voters didn’t see President Obama or any of the Republican contenders as attractive choices. From this somewhat provocative premise, the editors would go on to nominate retired general David Petraeus, Cisco CEO John Chambers, former White House chief of staff Erskine Bowles, and former US secretaries of state Condoleezza Rice and Hillary Clinton as examples of “independent” figures who might be able to break Washington’s bipartisan political gridlock. Absurd on its face, this episode was a caricature of one of the most ridiculous leitmotifs in American politics: namely, that of the centrist maverick who is going to shake things up in DC with an agenda virtually indistinguishable from the one its governing class already favors. Boasting institutional independence from both major parties, the centrist maverick generally brings to the table a vast war chest courtesy of immense personal wealth or establishment connections, promising outside-the-box thinking, usually drawn from experience in a wide range of diverse fields criminally underrepresented in American politics — from Wall Street and the corporate world to tech and real estate. Sensitive to Americans’ collective disgust toward their traditional rulers and their supposedly overriding desire for normalcy and calm, the centrist maverick pledges a heroic break from the scourges of partisanship and ideological excess and a return to the hallowed middle ground of yore. In successive election cycles, Michael Bloomberg has arguably been foremost among the hypothetical middlebrow mavericks perennially touted in the media. Bloomberg himself reportedly thought he could win in 2016, though he now says it’s impossible for an independent candidate to prevail under the American electoral system (adding that any such candidate could effectively hand Trump a second term). I’ve been a lifelong Democrat. I look at both parties — we see extremes on both sides well, we are sitting, today, with approximately $21.5 trillion of debt, which is a reckless example, not only of Republicans, but of Democrats, as well, as a reckless failure of their constitutional responsibility . . . I wanna to see the American people win. I wanna see America win. I don’t care if you’re a Democrat, Independent, Libertarian, Republican. Bring me your ideas. And I will be an independent person, who will embrace those ideas. Because I am not, in any way, in bed with a party. Schultz has since said that while he “respects the Democratic Party” he “no longer feels affiliated” because he doesn’t “know [if] their views represent the majority of Americans,” adding, “I don’t think we want a 70 percent income tax in America.” Putting aside the factual inaccuracy of this latter claim and Schultz’s rather creative use of the word “we” (polls strongly suggest a majority of voters favor raising the top tax rate to 70 percent), it’s unclear what, if anything, he plans to offer even on a rhetorical level that will set him apart from any generic, middle-of-the-road presidential candidate. He has a personal story of entrepreneurial success. He’s culturally liberal-minded and expresses ambiguous social concern about the environment and people living paycheck to paycheck. He thinks Americans need “tax relief” and should have “the right to have access to quality health care” but opposes an actually universal system (comparing the hugely popular Medicare for All to Trump’s wall) alongside raising the income tax rate. He’s concerned about the dang deficit. He’s intellectually independent and open to all ideas provided that they fall safely within the political mainstream and don’t run even slightly contrary to the interests of rich people like himself. Given the apparently widespread public support for policies like Medicare for All and higher taxes on the wealthy, evidence seems thin that a majority or even a significant plurality of Americans are pining to vote for an independent centrist preaching sugary feel-goodisms and extremely mild tinkering. And even if they were: such a program is almost certain to be on offer from at least several Democrats in the upcoming election cycle, albeit with slightly different branding. Like every would-be centrist maverick, Schultz’s pretense to bold, outside-the-box thinking is entirely a matter of affect. He brings nothing to the table save his ample personal wealth and room-temperature politics, both of which are already abundant commodities in Washington’s gilded and pathologically centrist mainstream. If this is what passes for novelty in American politics, all the more reason for a radical overhaul rather than a new coat of lacquer inscribed with another billionaire’s name.